Are Red Plan supporters turning tail? I can’t help but wonder if even the Red Plan’s most ardent former boosters are having second thoughts or are cowed by the increasingly sullen attitude about the Red Plan from voters who incorrectly feel impotent to change it. I was sent this NY Times column about farm animals. At first I didn’t want to read it but I’m glad I did. I had a physical two days ago and my Dr. was a vegetarian. He told me he doesn’t eat “flesh.” I do and I do so unappologetically but I also like vegetables. Yes, I was raked over the coals last year for using that word. However it was the Duluth News Tribune that put that word our of context in a headline that got me all the grief. Dr. Dixon’s use of the word vague shows that sometimes fuzziness works. Tonight we sent out a pledge to 14 candidates for the four legislative seats whose Districts contain part of ISD 709. 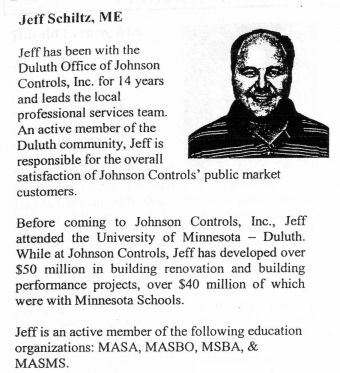 Will you pledge to reintroduce and or vote for the original Jaros legislation which would guarantee that the voters of the Duluth School District would be given a binding referendum on the Red Plan or any other major overhaul of Duluth School facilities before said project was allowed to continue? Explain your answer below if you wish to. Please return to Let Duluth Vote in the enclosed envelope. Karen, one of our indefatigable LDVers, went to the School Board meeting last night and reported Dr.Dixon’s proposed three tiered referendum for the fall operational levy. He is also recommending that the District make no promises on how the money will be spent. Of the four previous occasions that District 709 has offered such operational levy votes the only levy that failed was in 2001 when the District didn’t explain how it planned to use the money. This is just the kind of campaign message that will win over voters. I’m responsible for a fun story in the Tribune today. Chuck Frederick has been writing interesting pieces about Duluth’s past and requesting story possibilities to track down. I suggested one and by golly he wrote a jim dandy of an article about it. It was almost all new to me and I got a good laugh out of it. “Early this year a pastor in a Morgan Park church organized a neighborhood meeting with Superintendent Dixon and JCI to answer questions about the Red Plan. Morgan Park is about to lose its only school, Morgan Park Junior High. I ran across this list of qualities of good school board members on the Minnesota School Board Association website. It struck me that Duluth has one good one, Gary Glass. I’ve bolded three qualities which Gary excells when compared to most of his current colleagues on the Board. Like most people I can over think some things. I might be doing that with today’s banner headline in the Trib over the twinned stories of the City’s reorganization under the new Mayor and Duluth’s recent high bond ratings. (Its not in the online Tribune) I’m struck by the second phrase: “moving forward” which is by chance or otherwise the catch phrase of Red Plan Supporters. Is the use of this particular phrase a subtle promotion of the Red Plan? If so, is this a phrase that the City Council and Mayor, most of whom despise the Red Plan and/or its conception, will enjoy having applied to them? Or am I making a mountain out of a mole hill? The good news, as the News Tribune puts it, is that Duluth’s finances and tax capacity are in good enough shape to guarantee an excellent bond rating for the City. This is how both Moody’s and Standard & Poor’s evaluated Duluth as it puts its biggest ever bond into effect – a $40 million behemoth to finance the DECC expansion. Keep in mind, of course, that this will mostly be paid for by tourists at our hotels and restaurants. Also keep in mind that it is dwarfed by the $293 million in bonding for the School District’s Red Plan which will be paid entirely by local residents. What the advisors at Moody’s know is important. Government can raise taxes to pay off their debts and the taxpayers can do little about it. That’s why we will all be on the hook if the Federal Government guarantees Fannie Mae and Freddie Mac for encouraging so many sub prime loans. That’s why we will all be on the hook if the Duluth School Board gets away with the Red Plan. In other words, If the voters of Duluth lean on their politicians not to raise taxes the bonding community will punish Duluth. Its nice to have friends. For well over a year until about six months ago I was helping save the world and didn’t even know it. I was simply trying to limit my calories by eating Peanut Butter and Jelly sandwiches for most weekday lunches. There is now a campaign to encourage everybody to eat PBJ’s. “Each time you have a plant-based lunch like a PB&J you’ll reduce your carbon footprint by the equivalent of 2.5 pounds of carbon dioxide emissions over an average animal-based lunch like a hamburger, a tuna sandwich, grilled cheese, or chicken nuggets. For dinner you save 2.8 pounds and for breakfast 2.0 pounds of emissions. I spent an afternoon looking up Ralph Doty’s caustic attack on me and Gary Glass. In reviewing it a half a year later I’m struck with how close my initial reaction to it was. Its careless and wrongheaded and unnecessarily vicious. And, of course, schools can charge for extracurriculars. That’s why poor folks don’t let their kids play hockey. The gear and clothes are too expensive to change each year as the player grows from Termite to Alpha……Isn’t that what the age groups are called? But with the City of Duluth contemplating this in its dire financial need…..Thank you Red Plan…..Who knows what sort of pain the School Board will prepared to inflict on its students next year. I do think laws were bent and or skated past to adopt the Red Plan but I’ve never said that JCI was acting with criminial intent. Although I’ve used words like mislead, greed and the like I’ve been pretty cautious describing JCI’s activities. That did not stop Ralph Doty from writing a column days before the last election vilifying me for criticising JCI. He said the company should sue me for slander. Doty explained that he called an aquaintance at his old place of employment to inquire about JCI’s success with a project in Ohio. The report was favorable so Doty simple mindedly applied this singular success to all JCI projects world wide including the Red Plan. If a singular example is now the standard of judgement then any evidence of scandal should cast doubt on all JCI projects. Using Doty’s line of reasoning I now offer proof that every JCI project is corrupt with the singular example of their work in pre Katrina New Orleans. Here’s how the Times Picayune editorialized about New Orleans’ JCI scandal. So, is JCI a barrel of rotten apples or does it simply have a few bad apples? The Trib’s reporter on JCI made it clear to me that the School Board’s contract with JCI was not a “performance contract.” Apparently Sarah was well aware of the criticism leveled at such contracts. They guarantee the purchaser energy savings after the installation of energy saving and monitoring equipment. Even though the Red Plan is not an energy savings plan it has been sold to the public as an energy saving plan. Many of the first millions of dollars spent this summer are being spent on energy equipment at Stowe and Lakewood. Consequently the effect of the Red Plan is very similar to an energy performance contract. Thus what the GAO (the Goverment Accounting Office) has to say about such contracts is worth pondering. This comes from a Wikepedia entry on ESCOs. The GAO ESPC study brings into question whether or not there is sufficient data to prove that the gains delivered by ESCOs are sustainable over time. The study further questions the practice of having ESCOs monitoring and validating the performance of their own projects. In fact, most buildings and facilities exhibit the same basic limitations with respect to energy conservation and optimum maintenance. US Federal studies show that major and minor building systems routinely fail to meet performance expectations, and these faults often go unnoticed over time. The functions of a building, the number of tenants, and the configuration of the space change over time in unanticipated manners that adversely affect the systems that control building performance. So, can Duluth believe all of the JCI hype? Apparently no one in the District is authorized to tell Board member Gary Glass about who is getting contracts for Red Plan construction. The JCI representative was sitting next to Kerry Leider’s assistant, Dave Spooner during a School Board meeting to answer questions directed at them by the School Board. Glass asked them if there were any JCI subcontractors being awarded contracts for this summer’s Stowe or Lakewood projects. Dave Spooner responded for the panel, and answered “No.” The JCI representative sitting next to Spooner said nothing to contradict Spooner. Later Gary went to the City and asked about building permits granted for the Stowe Project. He learned that JCI had awarded itself $2,666,000 of the Stowe building permits. The Trib’s reporter was told this before the Trib’s two-part story on JCI. It was not mentioned in her story. JibJab on the Presidential campaign to Dylan’s tune The Times They are a Changin. To which I say, Don’t hold your breath Kent.